This album is the result of the years of study that the band’s members spent in diverse Mexican music schools (Superior, National and the Conservatory) and in instructive trips, as well as that of discipline, commitment and, quite specifically, beer. 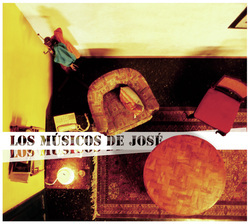 It was thanks to beer (an ad for which they made the music, apart from featuring in the crowd) that Los Músicos de José were able to produce the album, buy instruments and make a video clip. The album was produced by Yamil Rezc (Sub Division, Morbo). It was recorded with Eduardo del Águila at ‘Submarino del Aire’ (Alfonso André’s studio that has produced albums by Zoé, Cecilia Toussaint and La Barranca among others). It was mastered at ‘No por suerte’, Alejandro Giacomán’s studio.